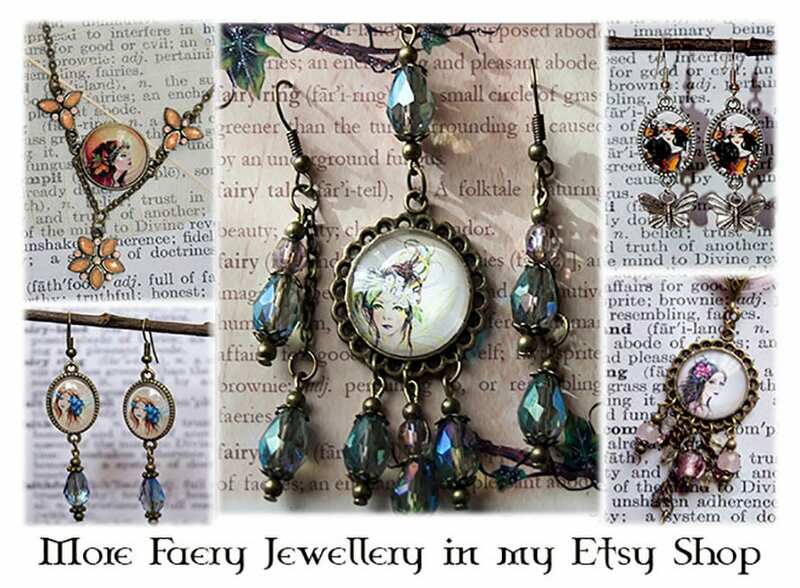 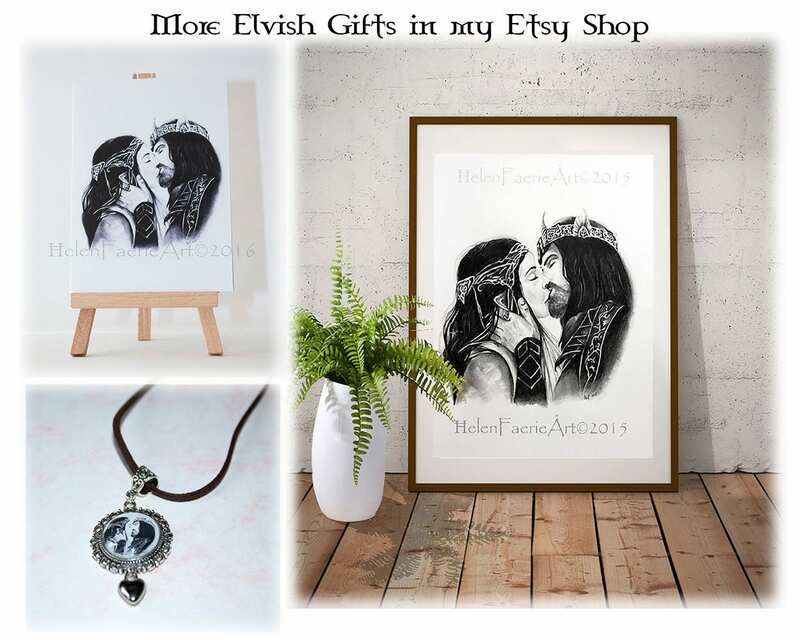 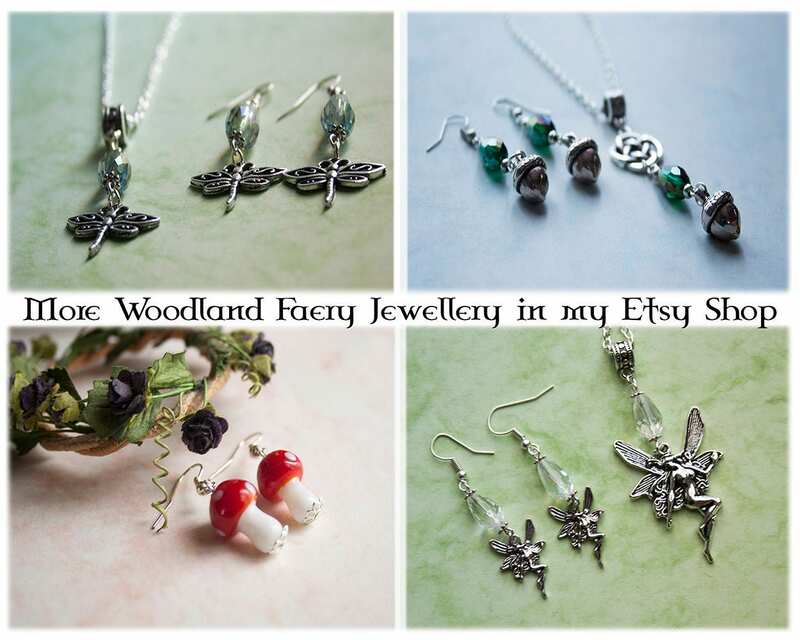 Beautiful Elvish lovers Pendant necklace, hand crafted in my magical faery studio. 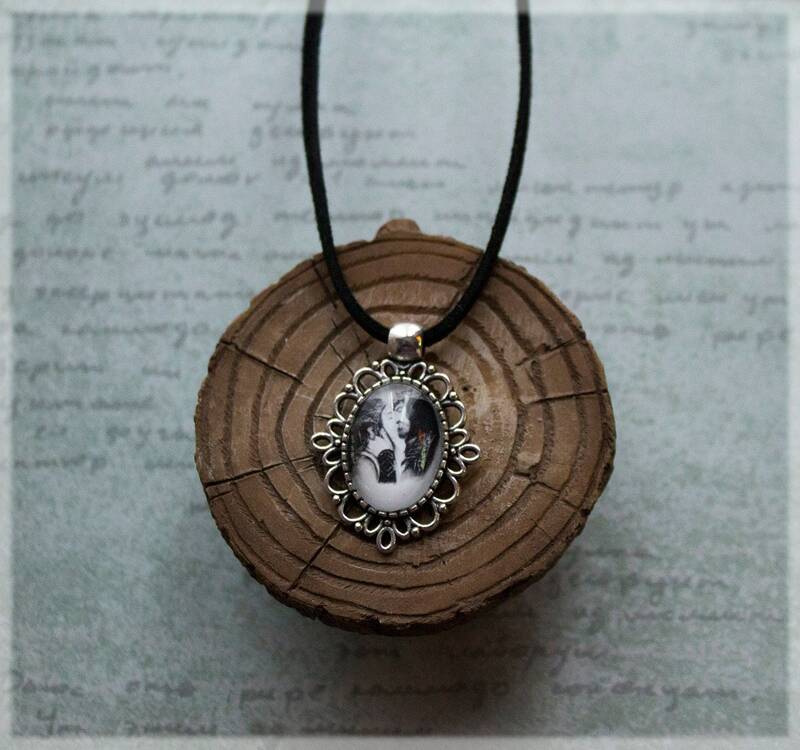 It is set under a glass dome in an antique silver tone oval setting frame. 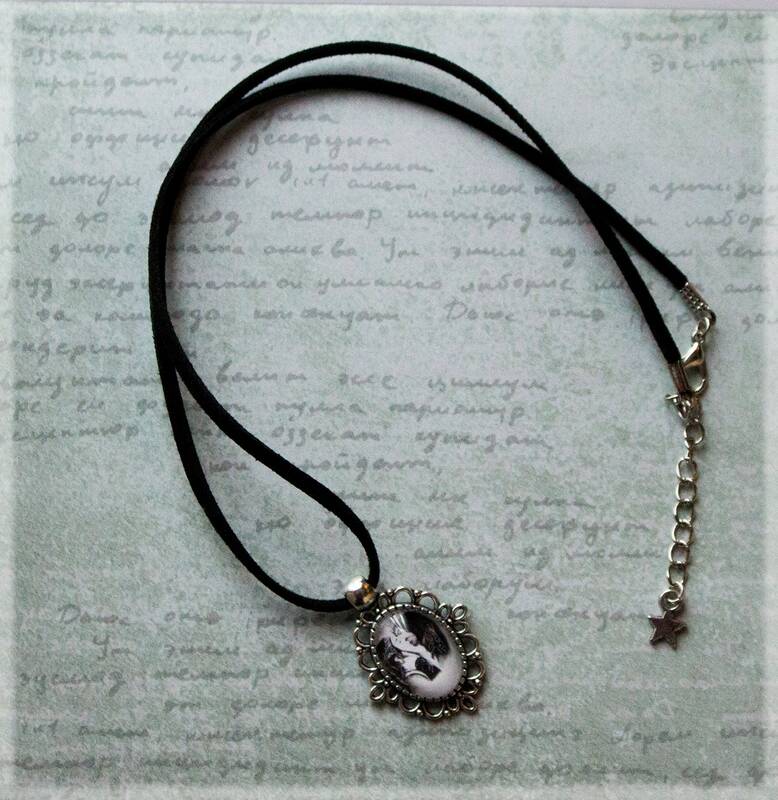 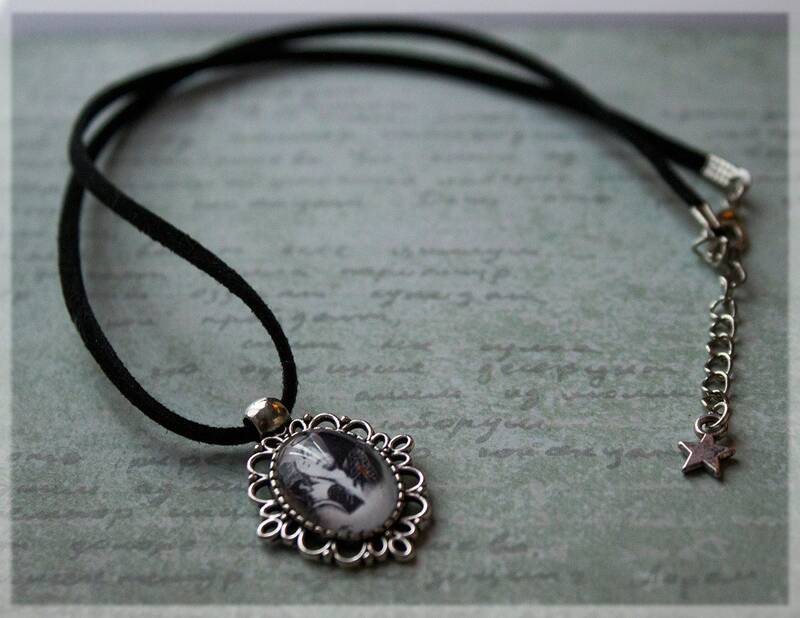 ~The necklace comprises of 1 strand of black faux suede, measuring approx 19 long, 2.5 mm( 1/8") wide with an extra 2 inch extendable chain (complete with a small silver tone star charm) & a 12 mm Lobster Clasp. 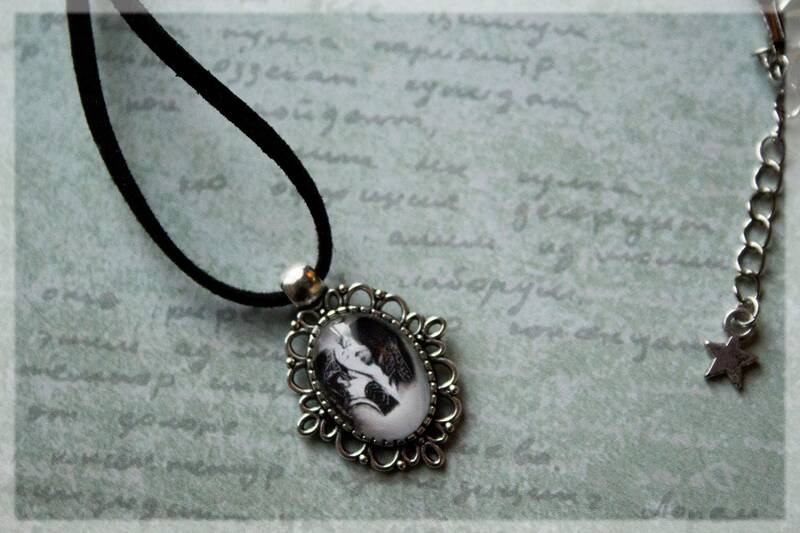 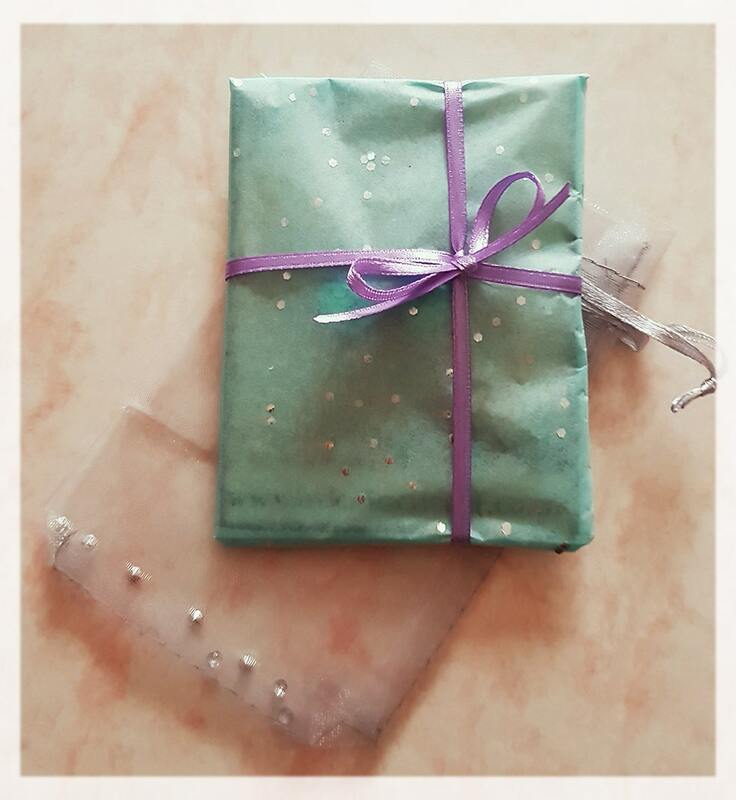 Dainty and vintage style, this would be great as a birthday gift or for your beloved partner or to treat yourself with an unique pendant!